It is Saturday, and Graham and I are spending our entire weekend out in the yard. We are working on a backyard makeover which I can not wait to share details and pictures about. 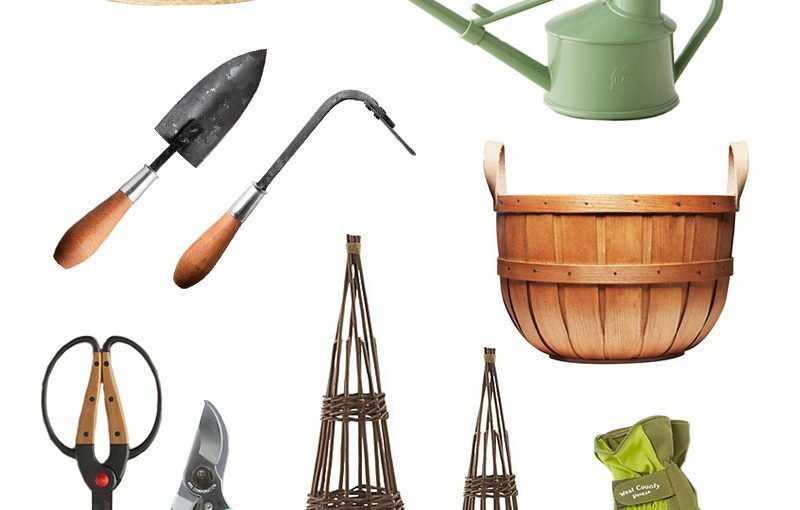 Here are some of my favorite tools and garden bits that I enjoy using while out in my garden. 1. Somerset Hat, Terrain $58 // This adorable woven hat is perfect for working out in the garden on a hot summer day or walking around at the farmer’s market. With it’s sustainable palm fibers, timeless nature and modern shape it is a hat that I will wear all of the time this summer. 2. Cast Iron Garden Sign, Terrain $38 // Totally non-essential for a garden, but still undeniably cute. 3. Mini Heirloom Watering Can, Terrain $18 // We recently planted our cedar boxes filled with herbs. Our baby herbs are so small and I don’t have a nice mini exterior watering can, this one may be nice to have around! 4/5. Hand-Forged Garden Trowel, Kaufmann Mercantile $39 // Hand-Forged Garden Hoe, Kaufmann Mercantile $39 // Tools that you use every day, touch and feel… why can’t they be little works of art on their own? 6. 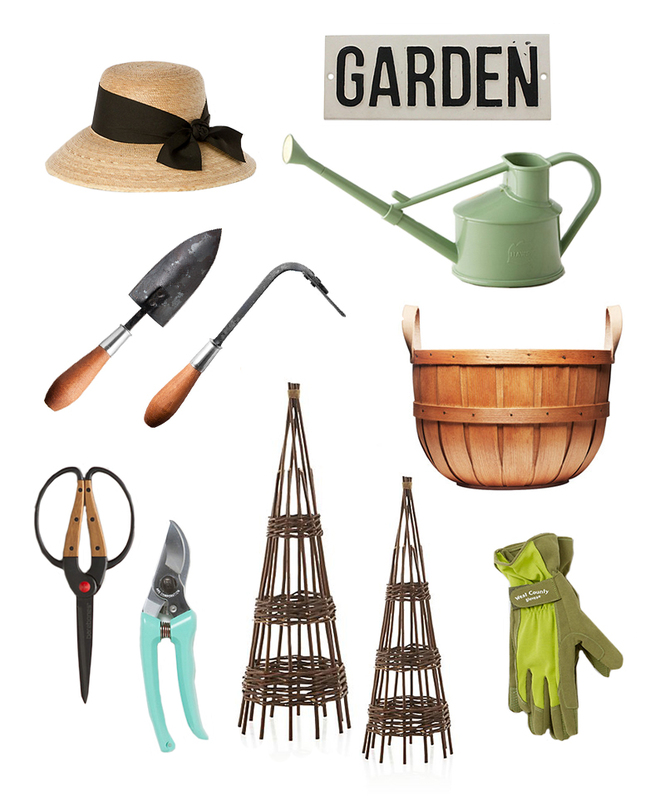 Large Handmade Picking Basket, Kaufmann Mercantile $49 // We have a very ‘vintage’ picking basket that is falling a part that we use out in our garden that I haven’t been able to find one just like it – until now! How classic. 7. Stainless Garden Scissors, Terrain $24 // I have owned these scissors for awhile now and absolutely love them. I use them all of the time for trimming, cutting herbs and stems. 8. All-Purpose Pruner, Terrain $48 // It is really nice to have a high-quality sharp pruner around that can cut through just about anything. 9. Small-Large Willow Tuteurs, Crate & Barrel $14.97-$24.97 // I just love these, we ordered some for our beans and tomatoes this year. 10. Classic Garden Glove, Terrain $28 // It is really nice to have a good pair of gardening cloves for working out in the yard. I use my hands a lot for teaching yoga and I have to take care of them.